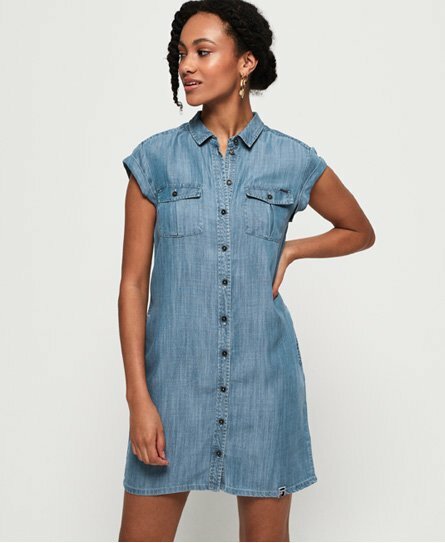 Superdry women's Nina Shirtdress. Update your wardrobe this season with this shirtdress featuring a main button down fastening, short sleeves, two chest pockets and pockets in the side seam. Finished with a Superdry logo tab on the hem and on the back. Will look great paired with sandals this season.